Basically, every method of making money online boils to down to one thing…traffic. It’s a numbers game folks and that’s all there is to it plain and simple. 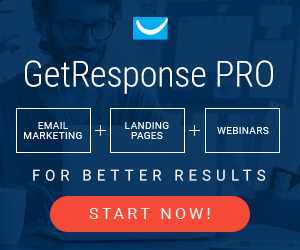 The more web traffic you have, the more people you have on your e-mail list, the easier it will be for you to make money through sales, CPA offers, online courses or whatever. If you were to believe all the hype about how much easy money people are making from online courses like Udemy, etc. you’d be scratching your head trying to come up with a course to teach too. The truth is that many of the instructors teaching the courses are doing much more work behind the scenes to promote their courses, than you might think. While there may be some who have adopted a “set it and forget it” approach, lucking out with big course sales, these are probably more the exception than the rule. There are some really high demand courses in the technical field that could very well be pulling in some big bucks but for the most part, instructors have a LOT of promotional work going on behind the scenes. Are you prepared to do some hard work? Ok, so this may burst a few bubbles, shatter a few pipe dreams, etc. but again, it’s all in the numbers. So how many numbers are we talking about? A few hundred or a few thousand? Well, that depends. If you have a highly targeted list of faithful buyers, maybe you can get away with a few thousand. Keep in mind that maybe only 1 to 5% of your list might buy what you’re offering or click through to your affiliate ads. With that in mind, you can see why tens of thousands of contacts might be better. BUT, we’re talking quality e-mails and contacts, and that is very important. Seems easy right? Join a group with 80,000 members, post your message and sit back and watch your PayPal account grow. You’ll be waiting a very long time. So why aren’t all those hungry followers buying into my post? Maybe because most of them don’t even view the group posts anymore and have become tuned out to all the continuous ads and offers being served up. Yeah, I’ve tried it and even when you’re giving something away for free and pointing them at a gateway page, you’re lucky to even get a scant few new subscribers to your email list. Same with Twitter as well. I have several groups adding up to about 10,000 followers and I post regularly. Not just selling stuff but providing good content as well. Again, people are so desensitized to all of this that they pay little to no attention to what’s going on. Too much of anything is not necessarily a good thing. I get a chuckle out of the fake personas that people create on Facebook. You know the ones. Some ultra cute or pretty girl who just happens to be the “sales manager” for some one-man show, an unshaven dude pounding out affiliate offers from his parent’s basement. Amazing how people buy into that. Just put the bait out on Facebook and within just a few days, you will get thousands of friend requests from horny guys looking to send photos of their “junk” by instant message. It’s a sick world out there and I guess these tactics work if you’re into adult offers but if you’re an affiliate for car insurance, those thousands of “friends” won’t help you at all. Don’t waste your time on junk friends, followers or Klingons! Ok, but you said traffic was number one? What gives? Ok, lets differentiate between massive traffic and quality traffic. Yes, the more traffic you have, the better. But only if it’s the kind of traffic and audience that wants to hear and read your message. That’s the secret! Better to have a smaller e-mail list, followers and/or friends that care about what you have to say or offer. These are the people who will take a moment from their busy day to read what you have to offer. Bottom line, if it’s something of value that can add to their lives in some way or make them feel better, you’re way ahead of the game. But that’s the tough part and with so much good content out there, it’s still hard to make yourself known in the vast sea of mediocrity and snake oil. Think about what interests you and the people you are interested in hearing from. I always stop and read the latest e-mails from people like Brian Dean, Pat Flynn and Matthew Woodard because they always provide something that adds value to my life. With my busy schedule, I delete 95% of my email notifications from Google+, Twitter and Facebook simply because I have no time to read it all. That’s my reality as I’m sure is yours as well. So without a doubt, you must find a way to connect with your readers or customers on a personal level before they listen and act upon your message. Make sense? I have been doing a lot of studying lately into promoting Udemy courses and blogs, etc. One of the most important things you can do is gather up allies and brothers in arms, who are as committed as you are to honesty and providing quality to your audience. As they say, there is strength in numbers so I have decided to stop going solo and will start forging relationships with others who also have a stake in the Internet marketing game. By promoting each other, you won’t feel so isolated and the old adage that “givers gain” should help you to become more successful.